Unfortunately the photos are a little blurry but it still captured the moment. 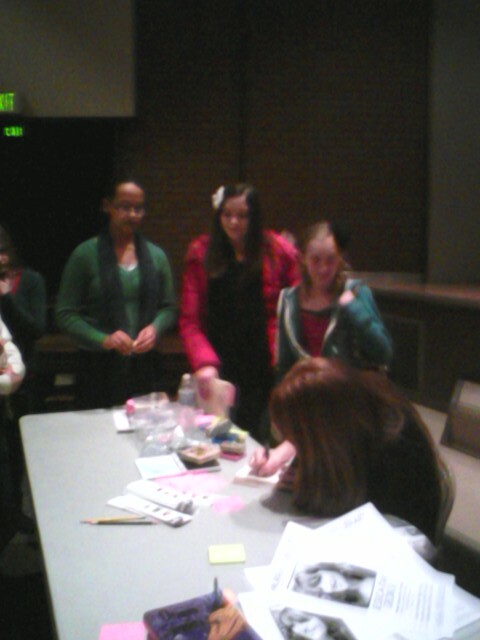 Murray City Library hosted a book signing with author, Jessica Day George. We arrived just a little late but we were still able to hear about her 200 rejections on her first 7 novels. Finally a story hit her late one night when her colicy baby finally went to sleep and she was able to sell it. The big difference was that she wrote about something she loved. Mrs. George was fun to listen to and was very kind to answer everyones questions as well as talk to the kids who were getting their books signed. 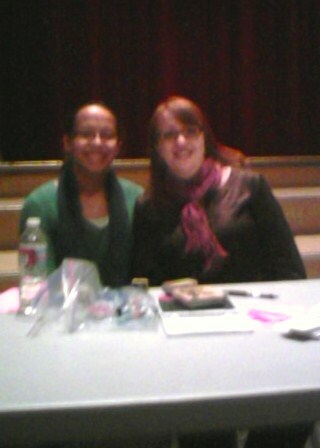 She also made sure that everyone was able to get an autograph whether they had a book or not. She even signed one of the promotion posters for my daughters friend who was not able to make it. I will have to look her up. I don't think I've read anything she has written.